It is an age-old practice of consumption of fermented cod liver oil, owing to its nutritional values. Just like most of the fish oils, fermented cod liver oil has been found to be rich in omega-3 fatty acids, eicosapentaenoic acid (EPA) and docosahexaenoic acid (DHA). It also contains the high level of vitamin A and vitamin D. It helps to get rid of depression, clears acne, balance hormones and much more. So, lets read about it in detail. Cod liver oil is an essential oil extracted from the livers of Atlantic cod (Gadus morhua). Fermented cod liver oil is the oil extracted from the cod liver using the process of cold fermentation. The cold fermentation process prevents the damage to the vitamins and the polyunsaturated fatty acids while extraction. All the beneficial fat-soluble vitamins of the oil are recovered without any damage or degradation of the quality of the nutrients. The quality of the oil extracted depends mainly on the raw material used.Also, the process of extraction plays an essential role in the determination of the quality of the final product. Fats are necessarily required by the cell for metabolism and another process. Unsaturated fatty acids in the cod liver oil are beneficial and should be consumed in the right quantity. Glowing skin, increased rate of calcium and phosphorous metabolism, repair of various membranes, etc. are all performed by the healthy fatty components of the cod liver oil. 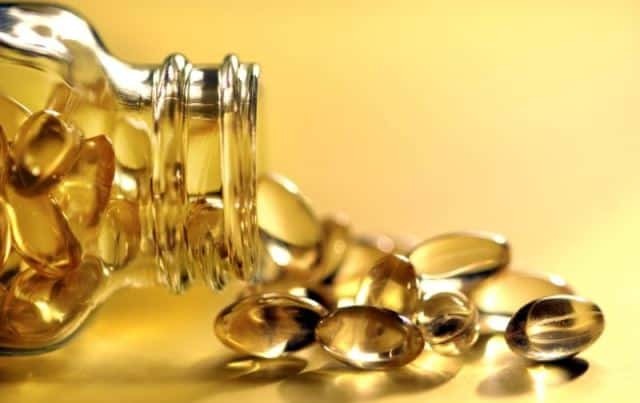 Studies conducted by various researchers have shown that consumption of cod liver oil has been proved to be a boon to the patients of rheumatoid arthritis. There has been a significant reduction in the pains as reported.Studies also revealed that cod liver oil has also helped in reducing cartilage damage due to the osteoarthritis. Ointments containing cod liver oil and extracts up to 25% by weight have been proved to be effecting in early healing of wounds. It helps in accelerating the wounds in certain animal tissues. Daily regulated intake of cod liver oil in measured quantities has been proved to prevent atherosclerosis. People who have been consuming cod liver oil regularly have a reduced chance of developing diseases like the coronary artery and other related diseases. DHA present in cod liver oil is a very important for development and functioning of the brain. If consumed at a tender age by the children, this particular oil has been proved to be helpful in developing better mental skills which help in overall development. Studies have reported that vitamin D levels in body and diabetes of type 2 show inverse relationships. Intake of cod liver oil has reduced the risk of developing type 2 diabetes as insufficient vitamin D levels may have an adverse effect on insulin secretion and glucose tolerance.Cod liver oil is rich in vitamin D reduces the risk of diabetes. Pregnant women if do not consume vitamin D in adequate quantities, are at increased risk of developing preeclampsia. Poor vitamin D status has also been reported to be associated with gestational diabetes mellitus and bacterial vaginosis in pregnant women. It’s also important to note that vitamin D levels if are too high during pregnancy can be associated with an increase in food allergy of the child during the first two years of life. Vitamin D plays an important role in cell-to-cell interaction and cell growth. Some studies have suggested that calcitriol can reduce cancer progression by slowing the growth and development of new blood vessels in cancerous tissue, increasing cancer cell death and by reducing cell proliferation and metastases. Lactating women, when administrated with cod liver oil, have shown the high quantities of DHA and EPA in their breast milk. This richer milk, when fed to the infant, proves to be beneficial.It can be concluded that consumption of cod liver oil by a mother can be helpful for the mother and the infant. In Arctic areas, children are provided with supplementary cod liver oil which protects against multiple sclerosis in later life. When in early ages children are fed with the oil, there has been a decrease in infection of upper respiratory tract and other diseases related to respiratory tracts. Cod liver oil has been reported to ease the ache of ears as in case of otitis media in children. Cod liver oil is considered to be one of the most abundant sources of omega-3 fatty acids due to DHA and EPA which have anti-inflammatory properties. 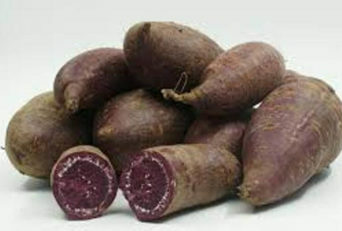 They have the natural property of anti-inflammatory and also the property of reducing the production of prostaglandin. If consumed in right quantity, cod liver minimizes the dependency on anti-inflammatory drugs. Being a rich source of vitamin D, cod liver oil can help tackling and preventing rickets in children. Rickets is caused by the deficiency of vitamin D in the body. Vitamin D which controls the metabolism of calcium in the body, when not present in enough amounts can cause problems related to bone shape and health. Cod liver oil provides enough of vitamin D to keep the bones of children in proper shape and order. Cod liver oil is available as supplements in the market today. Cod liver oil is available in the market in mainly two forms- liquid oil and capsules. Antioxidants like astaxanthin are added to the oil to prevent them from going rancid.One should be aware of the fact that astaxanthin is essential and should be looking for when purchasing the product. If consumed in large quantities, cod liver oil may cause vitamin D toxicity in humans. Large amounts of fish oil consumption can cause side effects because of environmental toxins in fish such as mercury, dioxins, polychlorinated biphenyls and other contaminants. The cod liver oil acts as a blood thinner. Pregnant women, high blood pressure patients and asthmatic should consult a medical practitioner before consuming the oil. High vitamin A content has also been reported to weaken the bones and certain birth defects. The bottom line is consumption of cod liver oil is to be done under the supervision of a doctor or a dietician. The amount to be consumed by any individual mainly depends on the body type, rate of metabolism and the amount of physical activity performed by the individual. If some amount is sufficient for one person, the same amount might not fulfill the daily requirement of the other person. The amount to be taken varies depending on the age factor. One should contact a medical practitioner before consuming the oil/capsules. The proportions mentioned below are a rough estimate and are devised for the average population. 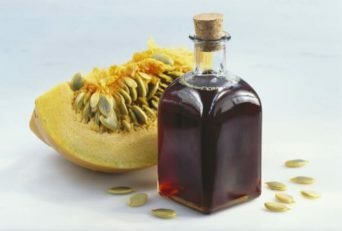 For children of ages three months to 12 years 1/8-1/2 tsp, i.e., o.625-2.5 ml should suffice. Adults require more amount of cod liver oil and should consume 1/2- 1 tsp (2.5-2 ml). The requirements of pregnant and nursing women are even more. They need about 1-2 tsp (5-10ml) of cod liver oil. For people who are fussy about the strong fishy smell, capsules are to the rescue! Generally speaking, 8-10 capsules are considered to be equal to 1 tsp of oil. For children (3 months- 13 years), 1-4 pills solve the purpose. Adults need 5-10 pills and whereas pregnant and nursing women may take up to 10-15 capsules. Because of the high fishy smell, some people find it difficult to take in the spoon full of oil directly. But hey! You can blend it in end number of ways and get the benefits of the oil. Try flavored oils: ample varieties of flavored oil are avail in market. From flavored coconut oil to organically flavored cinnamon cod liver oil are all available in the market. One can choose from a wide variety. Mix it with a smoothie: the required amount of the oil can be mixed with your favorite smoothie, and the fishy smell can be avoided. Blend it with yogurt or ice-cream: the fishy smell of the oil can be masked when blended with the right flavored yogurt or ice-cream. Honey or maple syrup: honey and maple syrup have their character and flavor. This is one of the best foods that can help in reducing the fishy odor of the oil. Juices and other beverages: a tsp of the oil can be added to your favorite glass of fresh juice or any other fruit drink to make the process easier. Dressing for salads: this oil can also be used as a dressing for your favorite homemade salads and impart a mild characteristic fishy flavor. Fermented cod liver oil is known to reduce blood pressure. If taken along with other medications which lower the blood pressure, it may cause the blood pressure to get low. Fermented Cod liver oil may reduce the rate of the blood clot formation. When taken with other medicines, the clot might take a longer time to form, and it might result in excessive bleeding from the wound and slow healing of the wound. There are also possible harmful interactions with conventional drugs like aspirin, biotin, folic acid, and ibuprofen. It is advisable to consult a doctor before consuming cod liver oil if you are already on some medication to prevent the possible harmful interactions. Freshly harvested fish caught by using net is gathered and brought to the fishery. There the workers immediately remove the liver and the liver oil producing tissue from the fish. As per the traditional method, these liver tissues are then transferred to wooden barrels along with seawater and are kept for fermentation for up to a year. 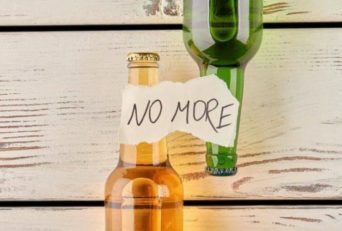 Since the demand for fermented cod liver oil has seen a drastic increase in demand; this traditional method was replaced by a process which is less time-consuming. Now, the liver tissues are cooked with the whole cod body tissues during the manufacture of fish meal, and the oil is extracted. The fermented cod liver oil is a good source of nutrients and unsaturated fatty acids. 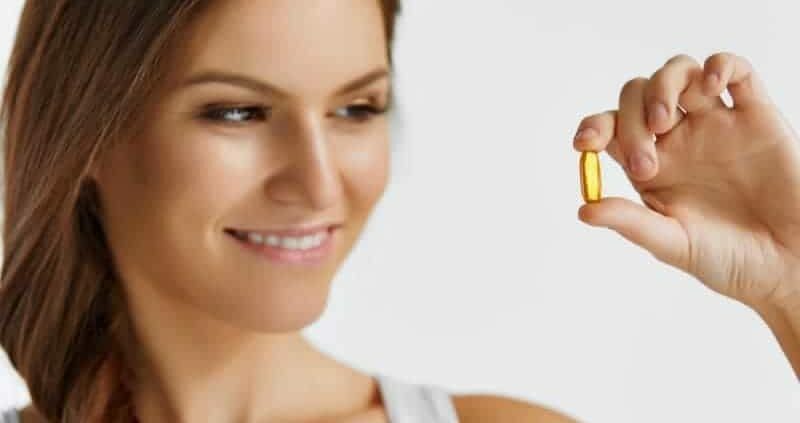 Beneficial compounds like retinol, eicosapentaenoic acid (EPA), docosahexaenoic acid (DHA), Alpha Linolenic Acid (ALA) and vitamin D.
Vitamin D in body controls and regulates the calcium and phosphorous metabolism as it directly controls its adsorption from the small intestine and also regulates maintenance and the rate at which the bone formation takes place. Hence, vitamin D plays a vital role in our body. Vitamin A has the role in maintaining a healthy vision of humans. In the absence or deficiency of vitamin A, eye develops a disorder known as ‘night blindness’ in which eye loses the ability to adjust to the changes in the intensity of light. Maintenance, growth, and formation of the skin and other mucous membrane are also done by vitamin A. Hence; vitamin A plays an essential role in immunity by helping in maintaining the physical barrier- the skin. Docosahexaenoic Acid: studies have been conducted which prove that DHA helps and support brain functioning and has also been helpful in assisting other neural functions. DHA also plays a vital role of being a component of tissues of brain and retina of the eye, and it also has an active role to play in the functioning of the membranes of the central nervous system. It is necessary for membrane fluidity and supports nerve cell communication. Eicosapentaenoic Acid: it regulates the formation of healthy body prostaglandins and therefore keeps the cardiovascular system of the body healthy and maintained. Studies have shown that omega-3 oils, such as EPA are beneficial for promoting healthy heart rhythm, promoting healthy triglyceride levels, supporting improved endothelial function, and supporting flexible joint function. Alpha Linolenic Acid: they are essential fatty acids as they cannot be synthesized by the body and need to be taken as a part of the balanced diet. Uptake of ALA from cod liver oil is important.